Description: Leading aluminum extrusion manufacturers have established a variety of methods pertaining to material grade, surface protection, and component solutions to maximize the benefits of aluminum to suit a wide variety of applications. These advancements in technology have led to the development of sustainable wood-patterned aluminum products designed for exterior and interior applications. 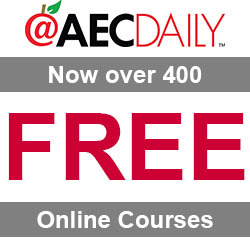 This course focuses on how these products can be used as a beautiful, high performance, durable alternative for real wood in a range of applications, including screens, facades, decking, fencing, gates, cladding, and more. I have always been interested in construction and design, my early career was purely hands on, completing an apprenticeship in Carpentry and Joinery. While I enjoyed learning the nuts and bolts of construction, I found myself looking for ways to work smarter rather than just harder. I saw an opportunity to combine my skills and experiences in construction with my creative side by completing a Diploma in Building Design and Technology. This course exposed me to the advantages of computer aided design. During this course I also took the opportunity to complete a Diploma of Project Management. For a period of 9 years, I worked with the local City of Gold Coast Engineering Services Design Section. While I started in the Architectural Section, I then had the opportunity to work as a Design Draftsman on Mechanical and Electrical Services, Civil infrastructure, Roads and Stormwater projects. Throughout this time my desire for manual work was fulfilled renovating our house which continues to this day. 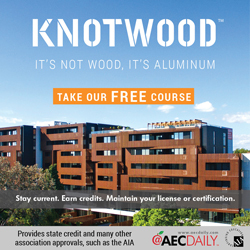 You need to be logged in to download the course materials for Wood-Patterned Aluminum Products: Innovative Design Solutions.